Crowns are generally "full-coverage" restorations that are used to cover a tooth that is likely to break, is fractured, or is too broken down to be restored with a filling. They are most commonly done after root canal treatment, when a large filling wears out, or when a tooth has fractured. The larger the hole or defect made by a decayed cavity that has to be treated, the more likely a crown will be needed. Most of the time after a large filling is put in a large cavity, a tooth is more likely to break. Keep in mind that the jaw muscles are some of the strongest in the human body. Teeth are subjected to tremendous pressures. Crowns cover the chewing surface over the weakened tooth, providing strength and protecting the tooth against further breakage. A broken or cracked tooth is a far more serious matter and much more difficult to treat predictably. Cracked or fractured teeth should be treated with urgency. In other situations two appointments are required for a crown. In the first appointment, all decay is removed from the tooth and it is shaped to accept the crown. Then an impression is made of the remaining tooth for use in fabricating a crown. Between the two visits the crown is made, usually of high-strength porcelain over gold alloy, all ceramic material, or gold alloy. During this time a temporary crown is worn. In the second visit this temporary is removed, the permanent crown is adjusted as needed and cemented into place. There are different types of dentures, but they share a common function. They replace teeth that have become lost due to bone loss, periodontal disease or extensive decay. When bone loss around the roots of teeth is great enough to loosen them beyond hope, it maybe time for dentures to replace them. No one enjoys losing their natural teeth, but you can eventually learn to eat and speak regularly. For denture planning, the entire mouth is examined and a determination is made as to which teeth will have to be removed and which, if any, will remain. The hopeless teeth are then extracted. 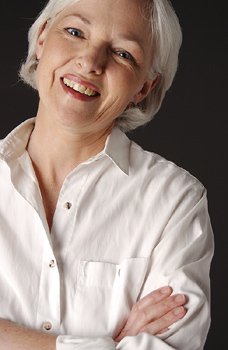 Dentures are fitted to go over or around whatever teeth remain in the mouth and to the gum tissue. There is an adjustment period after dentures are placed in the mouth, and it can take some getting used to. But once accustomed to the dentures, patients should epxect relatively normal functionality and and almost always improved appearance. Implants can used to further stabilize the dentures. Implants can also be used as support for a bridge. This is an alternative to partial dentures, and has several advantages. First, there is only a minor adjustment period as compaired to removable partial dentures. Second, implants slow the bone loss in the jaw associated with missing natural teeth. Third, there is little to no discomfort or difficulty in eating. And, best of all, of course, they don't have to be taken out all the time. We are also pleased to offer "mini" dental implants. These implants are about half the diameter of traditional implants are used mainly to stabilize lower dentures. These implants can be placed in one appointment and be immediately used. The fees for mini dental implants are considerably less compared to standard dental implants. Dr. Hinson can discuss whether you are a candidate for "mini" implants during your consultation. Root canal treatment (also referred to as root canal therapy or endodontic therapy) is generally made necessary when a cavity or fracture is allowed, through neglect or trauma, to reach all the way to the pulp or nerve of a tooth. (Regular cleanings and checkups with proactive-interceptive restorative treatment help prevent the need for root canal procdures!) Sometimes deep restorations or trauma to a tooth may cause the nerve to be damaged to the point it needs root canal therapy. Once this occurs the pulp becomes irreversibly injured or infected and the problem in the tooth can extend through the root tip and begin to affect the surrounding bone. By the time the pulp is infected it must be treated and cannot heal on its own. This can be dangerous, not to mention very painful. Symptoms that the pulp has become infected may include sensitivity to hot/cold or sweets, pain, swelling, pain to biting or pressure, and a bad taste in the mouth. Sometimes, however, no symptoms are apparent and the person is unaware of any problem until a checkup. Not all teeth that need root canal therapy are painful! A root canal is performed to clean out the infected tooth pulp/nerve, disinfect the canals of the tooth and fill the inside of the roots of a tooth with a specialized fillng material. If a root canal is deemed necessary, the only other treatment option is to eventually extract the tooth. The infection/irritation inside the tooth is considered resolved immediately after the procedure. Any infection or irritation of the bone and tissue around the tooth can take several days to weeks to resolve. Usually a core build-up and crown is recommended for restoring a tooth that has had root canal therapy. This is an option for filling the space created by a missing tooth. It is formed to look like the missing tooth, and it takes its place in the mouth as closely as possible to the missing tooth. The sides or anchors of a bridge use the surrounding teeth for support, hence the name. A bridge replaces the missing tooth, both functionally and cosmetically. The materials used may be gold alloys, porcelain bonded to metal alloy, or all ceramic material. The choice of material depends on requirements for strength, wear, and/or esthetics. Dr. Hinson will be glad to review the choices and make recommendations for your specific situation. It is important that a missing tooth be replaced as soon as possible for several reasons. If not treated, the teeth surrounding the gap begin to shift inward or drift, creating a whole chain reaction of bad things. Teeth use their neighbors for support, and, with one missing, they start to "fall and shift" with time. As this worsens the bite changes in response to the unbalanced pressure. This can eventually result in problems with the entire jaw, e.g. TMJ, periodontal disease and malocclusion (bad bite). The surrounding teeth can more easily deteriorate and it is just a matter of time before they too are lost. Gum disease becomes a serious problem, with the difficulty of treatment increasing as the neglect continues. TMJ stands for temporal-mandibular joint. Temporal, as in temple area of skull; mandibular as in mandible, or lower jaw; joint as in it's where the head and jaw meet. The term "TMJ" jas come to represent a multitude of problems associated with the improper function of the jaw and teeth. Problems in this joint may be caused by a misalignment of the teeth, trauma, and/or excess muscle tension. Aside from the two bones that meet there, a special cartilage disk buffers them and many muscles are involved in this area. If something goes wrong a good deal of trouble can result. Dental treatments for the condition can include wearing mouthguard appliances, replacing missing teeth, moving teeth orthodontically, adjusting the bite, filling gaps between teeth, etc. There is no one solution that is right for all cases. The plastic mouthpiece is used to help prevent clenching or grinding that is contributing to the problem and to temporarily create a more balanced and even bite. If untreated and taken to extremes, surgery may be required to repair a badly damaged joint.